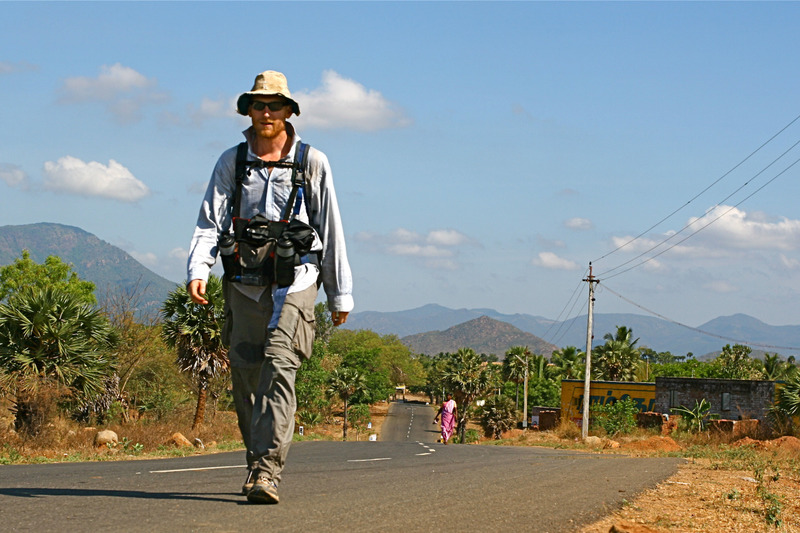 Adventurer Alistair Humphreys tells us about his epic trip following the Kaveri River on foot to India’s east coast. I could walk to anywhere on Earth from here, if only I choose to make the time. The road is free and open and waiting. I had visited almost half the countries on Earth. But I had never been to India. That needed to change. a new culture, you leave “normal” behind. I wanted to see it away from the Lonely Planet guidebooks and I wanted to walk because walking is slow, cheap, and hard. I wanted a journey that would be physically difficult, mentally challenging and spontaneous, so I deliberately did as little research as possible. I flew to Chennai, asked someone which bus I needed to take to get down to the mouth of the Kaveri, and I began walking. Through the night and into the morning we hurtled, through every cliché of travel in India. Crazy drivers and dodging potholes, cows on the road and temples in the mist. Terrible toilets, sweet tea and a delicious, spicy breakfast served on a banana leaf. In all of my travels I find committing to action to be the most daunting act. I was not a travelling novice. But it is the uncertainty, and beginning something new which I find so nerve-wracking. I gave myself a quick talking-to, dipped my toe in the ocean, and started walking. The hardest part of the journey was over: I was in motion. 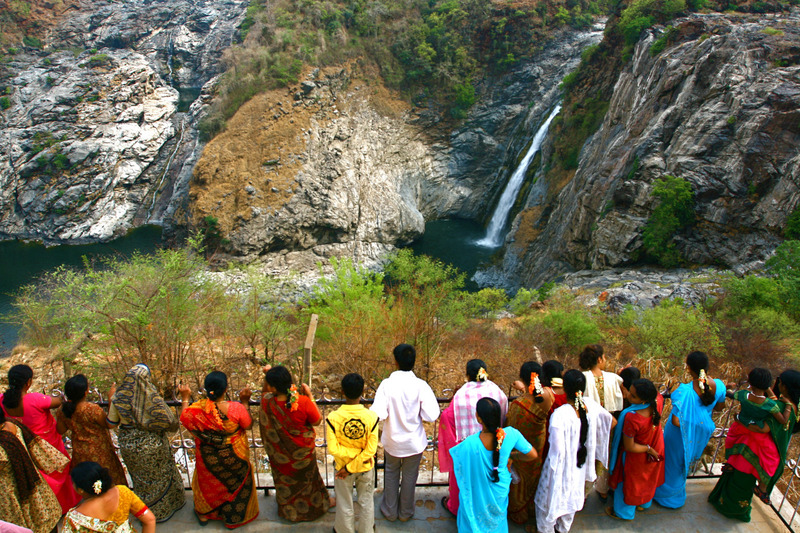 Walking through India is a permanent swirl of stimulation. My strongest memory of that walk comes from endless chai stalls and roadside food shacks. I looked forward to them so much as I slogged and sweated and suffered beneath the fierce Indian sun. But I also remember them because they seemed to sum up much of Indian life – a very relaxed, social and community- orientated country. Night times were my favourite part of the adventure. In villages I often stayed with families, invited by kind strangers to spend the night in their small, simple homes. When I was away from towns I slept out in the open. I strung my mosquito net between two trees and lit a tiny fire of twigs to cook my rice. My legs and feet are sore. My head thumps with dehydration. I listen to the sounds of the night and smile. The road is free and open and waiting. This adventure is so simple - pick a river; follow it. Adventure is out there, anywhere, everywhere. You just have to go and find it.